South Korea and Indonesia cooperate to build a joint fighter aircraft named KFX/IFX. Indonesia and South Korea are cooperating in building a joint fighter but politics are delaying progress. 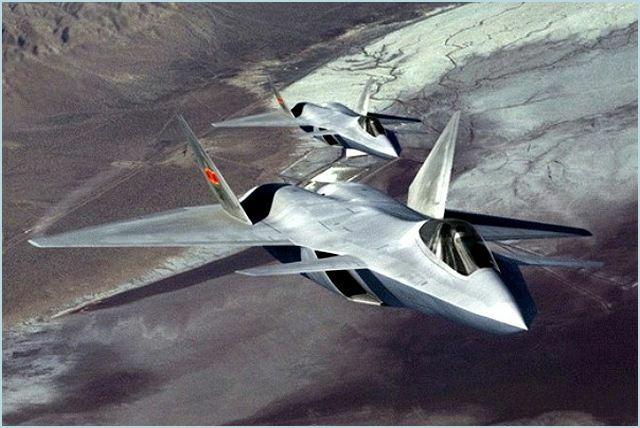 The project will produce the KFX/IFX fighter, which is called a "4.5-generation" combatant aircraft, as opposed to the U.S. Lockheed Martin fifth-generation stealth Lightning-II F-35 fighter. The KFX/IFX' s fighter's abilities are designed to be more advanced than the U.S.-built Lockheed Martin F-16 Fighting Falcon jet aircraft. The KFX/IFX fighter jets will eventually be designated the F-33, with a capability slightly below the F-35. Seoul and Jakarta project that the joint fighter program will construct 250 KFX/IFX jets, with Indonesia to receive 50 aircraft by 2020. The price of a KFX/IFX fighter is estimated at roughly $50 million-$60 million per aircraft. In contrast, Lockheed Martin's Lightning-II F-35, is estimated substantially more and the price tag is constantly rising with cost overruns. In 2010 South Korea and Indonesia agreed to cooperate in the production of KFX/IFX warplanes. The countries agreed that the initial KFX/IFX operational requirements were to develop a single-seat, twin-engine jet with stealth capabilities beyond either the Dassault Rafale or Eurofighter Typhoon, both of which British and French defense firms were promoting in Asia. They also planned for the KFX/IFX would have capabilities marginally less advanced than the Lightning-II F-35. Compared to the U.S.-built Fighting Falcon F-16s, the KFX/IFX has been designed to have a 50 percent greater combat radius, a 34 percent longer airframe lifespan, better avionics and better electronic warfare and data uplink capabilities. Although South Korea is underwriting the majority of the KFX/IFX and has substantial technology to produce the fighter, it is seeking partnership cooperation beyond its initial collaboration with from Indonesian Aerospace, possibly to include Turkish Aerospace Industries, Sweden's SAAB and U.S. firms Boeing and Lockheed Martin to implement the project.